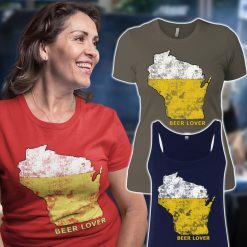 These Womens Wisconsin Beer & Wine themed t-shirts, hoodies and sweatshirts are all very popular and insanely comfortable to wear. 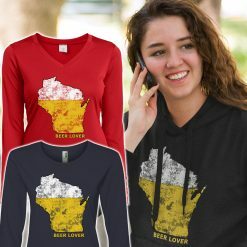 We print on name brand apparel that customers love. Great gift ideas for any occasion.